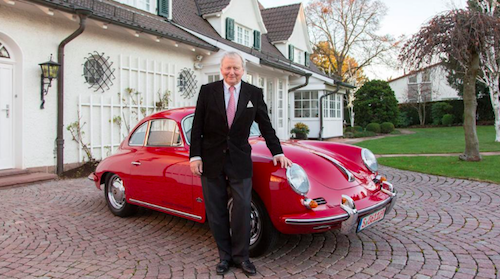 Dr. Wolfgang Porsche is the current Chairman of the Supervisory Board of Porsche Automobil Holding; at 75 years old, he has been on the Supervisory Board for 40 years! Though his surname alludes to his familial history, Wolfgang is the youngest son of Dorothea and Ferry Porsche – the Porsche founders. His name is inherently tied to the brand, and to quote Oliver Blume (Chairman of the Executive Board of Porsche AG), he is “…not only the bearer of our brand name, he is also the personable figure with whom people identify our company.” He is more than just his name; he is a leader and an influencer. Wolfgang Porsche was elected spokesman by the Porsche family after his father passed away in 1998. Since then, he has continued to climb the ladder to the top. Since acquiring his leadership position, Wolfgang has had a large influence over the company’s major decisions. He spearheaded the company’s realignment and reorganization of Porsche AG in 1992 and expanded the company portfolio to include new models that we have come to know and love. From the Boxster and the Cayenne to the Panamera and Macan, Porsche would not be the brand it is today without Wolfgang. With an ear to the ground, he is well aware of the ever developing technological world we live in; thus, Wolfgang also had a large role in getting the Mission E–the future electric sports car–to production. When it comes to an all-encompassing lineup, you can’t beat Porsche. Wolfgang Porsche lives to bring quality vehicles to consumers; from high-performance coupes to luxury SUVs, there is a Porsche model for everyone. With a chairman so steadfastly committed to innovation and performance, the Porsche brand will continue to excel. 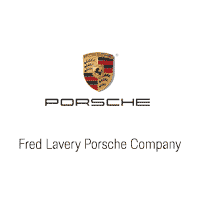 We at the Fred Lavery Company in Michigan could not be more proud to call this brand our very own. If you have any questions or would like to discuss a specific Porsche model in depth, feel free to contact our Michigan Porsche dealer at (248) 645-5930. We are ready and willing to answer any questions you may have.